Do you have used, new or damaged gold at home, and are thinking disposing it? Come talk to us. We are always looking to buy gold jewelry, gold coins, and gold trinkets from individuals living in and around the greater Central Ohio area. Our jewelry and coin valuation and assessments are fair, and our prices, very competitive. So, you can rest assured that whatever offer we make you, you’ll get similar or even lower offers from other pawnbrokers. Gemco Coins, Jewelry & Pawn Shop is simply the best place to sell gold in Columbus. 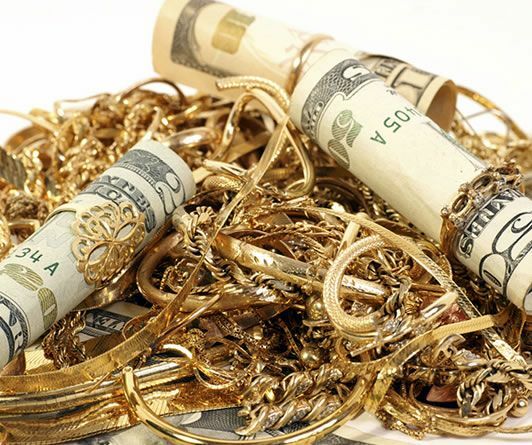 We also take and hold your gold valuables as collateral for cash loans. So, even if you’re not looking to sell your gold, and still want some cash, we can exchange it and hold it for as long as agreed, until you repay the loan and its very reasonable interest.